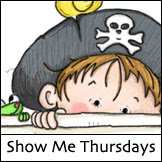 Sassy Cheryl's Digi Stamps Challenge Blog: Challenge #104 - Are You Seeing Spots? Hello sassy friends! 'Having a great week so far? We certainly hope so. We're sending out a big 'thank you' to all of our faithful friends. We love seeing your creations and appreciate your participation each and every week. There's always so many beautiful creations entered.. and we love them all. And thanks to all of our new comers.. we enjoy getting to know you! All of you ROCK! Each week we have one lucky person who wins our prize. Our one random winner from last week's particpants is Arabella. 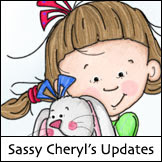 Congratulations to you, Arabella - you are the lucky winner of two digi images from Sassy Cheryl's shop. To claim your prize, just email Sassy Cheryl and she will get you all set up. 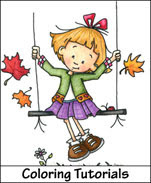 Then you will be on your way to coloring and creating and we look forward to seeing that! It's a new week and that means a new challenge. Our very talented Sassy Jackie set the theme and it's all about 'spots and dots'. Take a look at what Sassy Jackie and the design team have put together for this week. If you need a bit of inspiration, there's a lot here to jump start your creative mojo! To join us in our challenge, just make a card or other paper project (scrapbook lay-out, 3-D paper item, ATC, etc.) and link it up with InLinkz below. 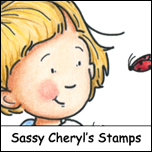 You don't have to use a Sassy Cheryl image, but if you do we love you even more and then you get TWO entries in our random drawing. Our rules are simple... no back-linking, follow Jackie's theme, enter our challenge only once, and combine our challenge with any others you'd like. It's all okay with us! Gorgeous cards girl. I'm really going to LOVE this challenge as Polka Dots are one of my FAVORITE things. Congrats to Arabella. Just drop me an email and I'll get that store credit for the images to your account so you can do some shopping. Can't wait to see what everyone creates this week. See you 'here'! I have so missed coming to Sassy Cheryl's - I'll be back. I may not be able to play this week, but I want to next week. Need to check out the store again. I have missed so much. I totally love the DT line up - fabulous creations. Great inspiration from the DT; thanks for the fun! Thanks to everyone who played in the challenge this week. Really did LOVE this one as polka dots/spots are my FAV! Good luck in the drawing and hope to see you again next week!